이 책에 실린 글들은 아시아 최고의 학문기관들에 소속된 학자들이 그 지역에서의 직업적, 학술적 경험을 바탕으로 아시아 지역에서 정보통신기술의 도입과 그 영향이 어떻게 나타나는지를 연구한 결과물들이다. 정보통신기술의 사회적, 경제적, 정치적 영향을 연구대상으로 삼고 있으며, 각 이슈들에 대한 분석적 개념틀을 제시하는 이론적인 글들과 이론적 논의들의 경험적 뒷받침을 제공하는 다양한 경험적 글들로 구성되었다. 아시아 지역에서 정보통신기술의 도입수준이 상당히 높은 국가들이 겪고 있는 이슈들과 아직도 정보통신기술의 도입 초기단계에 머물러 있는 국가들의 문제들을 포괄적으로 다룸으로써 다양하면서도 균형 있는 시각을 제시한다. 특히 아시아인들이 경험하고 있는 다양한 주제들, 즉 전자정부 도입의 문제점, 청소년들을 현혹하는 정보통신기술의 매력, 그리고 교육이나 보건에 이용될 수 있는 정보통신기술의 가능성과 위험요소 등을 제시한다. 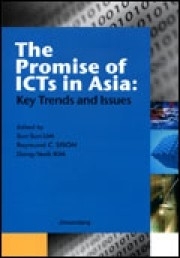 Authored by academics from top Asian institutions who are working and living within the region, the book chapters display a heightened appreciation for the local issues surrounding the adoption and impact of ICTs. This timely volume explores the social, economic and political impact of ICTs through theoretical and empirical chapters, with the former lending an analytical framework to the issues at hand and the latter providing rich data to flesh out theoretical debate. In its entirety, the book provides a balanced perspective, discussing the concerns of developed countries which are further along the ICT adoption trajectory as well as developing countries which are grappling with incipient ICT adoption. It shares insights from Asia on issues such as the challenges of introducing e-government, the allure which ICTs hold for youths and the potentialities and pitfalls of ICT use in education and healthcare.